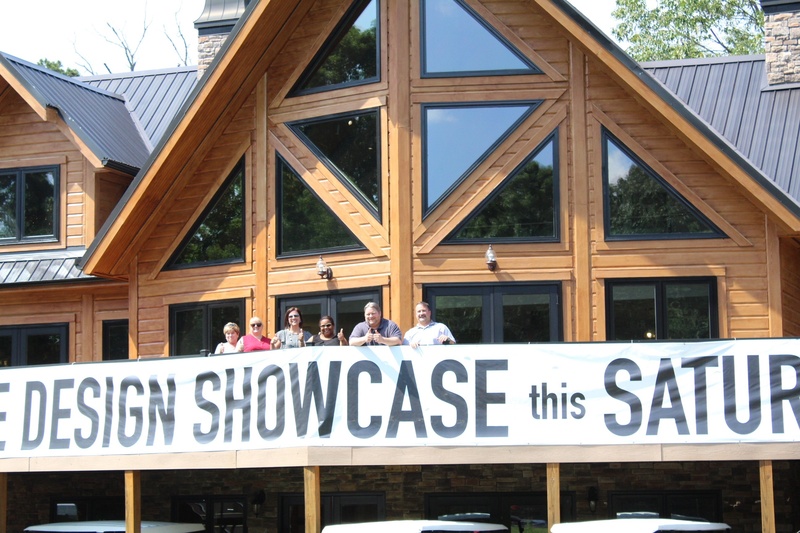 Timber Block's North Carolina location was the host of the 2nd annual Home Design Showcase, and it couldn't have went better. People from several states including North Carolina, South Carolina, Florida, Georgia and Kentucky made the trip to attend the home design event of the season. From a beautiful catered lunch to live music, and a self serve beverage station, and information that you can't put a price on, people looking to build their own home now - or later left with strong knowledge on what goes into the building process. Part of the showcase featured guest speakers who spent time discussing their knowledge in great detail. Rosa Ivey from Fidelity Bank Mortgage thoroughly explained the Construction-to-Permanent Loan Program, including the features, steps and benefits. Stay posted to our blog we'll hear more from Rosa in the next few days. Timber Block Project Manager Curtis McCurry went through the entire Timber Block process, from the early stages to moving in and beyond. On top of discussing the history of Timber Block, McCurry talked about our award winning technology, proven track record and the thousands of building experiences to date. While this year's Home Design Showcase is in the books, you don't have to wait until next year to learn everything you need to know about us or building your own home. Every one of our Sales Centers and model home locations are packed with the field's top experts. Plus, we have like-minded partners coast-to-coast to make sure we have you covered from top to bottom. Contact us to learn more, or find a location near you.